Well, I just found my new favourite thing ever. It’s just so pretty, and clever, and simple and…ahhh. Let me just take it in for a moment. This is the Owyn Toy Box and I’m gobsmacked by its charm. It reminds me of the beautiful handcrafted nature puzzles you find in Montessori classrooms and I think I’m in love. In the interest of little heads not getting shut in toy boxes (a good thing) it is hard to find toy boxes with lids. This means creating the classic neat little play area with toy storage that doubles as a bench seat for a reading nook is really hard. 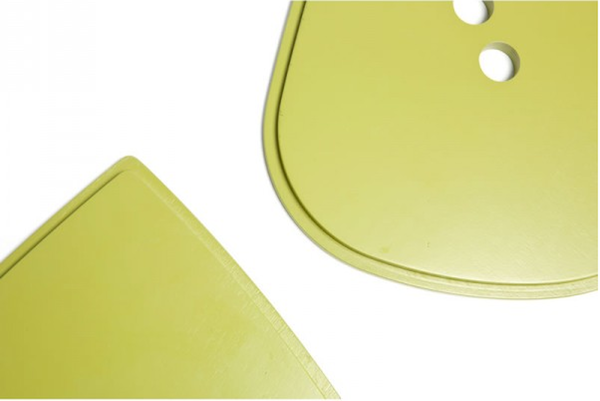 The Owyn Toy Box, available at Mantha & You, has two leaf shaped lift-off lids that fit like a puzzle. The inside of the box is separated into two compartments, one under each lid. 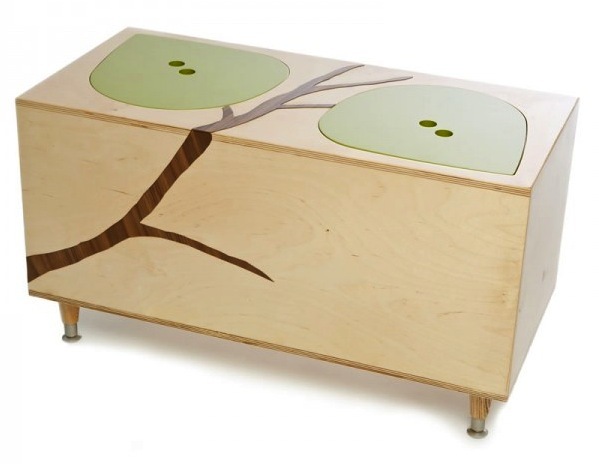 It is made from eco-friendly birch plywood and is handmade in the US. Measuring about 40cm tall, it’s the perfect height to double as a little seat. 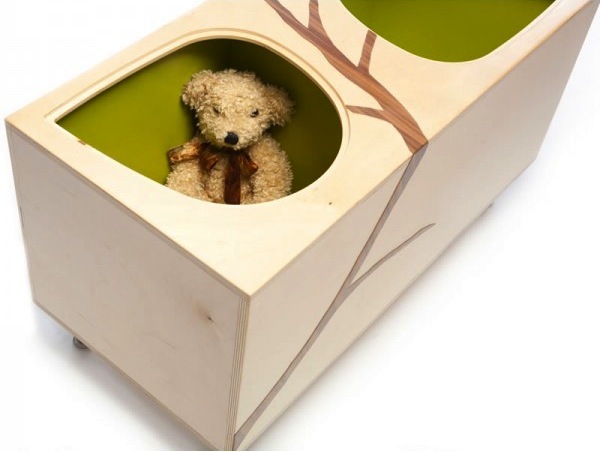 This toy box will set you back some $615 and postage is $20.